60 of the World’s Most Prominent Religious leaders, many of whom took part in the landmark declaration issued on June 14th calling for making friends across religions, issued this very same message as a common appeal and message of friendship for the end of Ramadan and celebration of Eid al-Fitr. 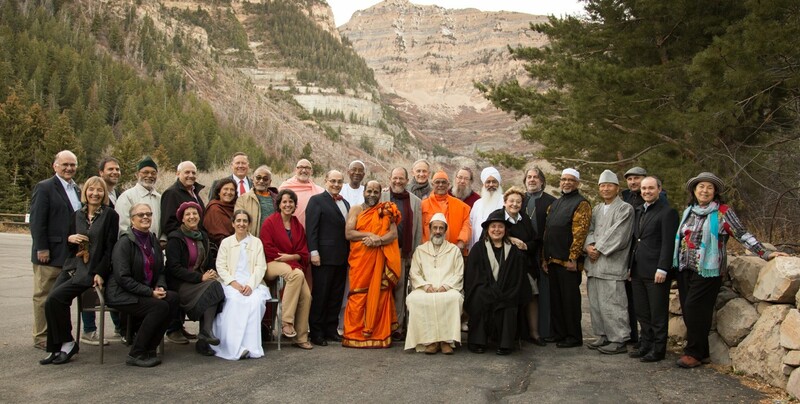 The leaders, members of the Elijah Board of World Religious Leaders, as well as other first-row prominent heads of major faith communities, recalled the recently released statement and affirmed it as a fitting wish for Muslims and non-Muslims on the occasion of this religious moment, celebrated across the world. The original appeal, made by Pope Francis, the Grand Mufti of Egypt, Chief Rabbi Jonathan Sacks, H.H. the Dalai Lama, Ecumenical Patriarch Bartholomew I, Sri Sri Ravi Shankar and many others was reframed by leaders participating in the original appeal in the context of the Eid al-Fitr celebration. The appeal for friendship across religions is the first time ever that such an appeal is made, both in terms of religious teaching and in terms of being issued as a common teaching across religions. The present end of Ramadan/Eid al-Fitr statement, in turn, is the first time religious leaders of different traditions issue a coordinated message across the traditions. The message is being disseminated through the Elijah Interfaith Institute, that has coordinated these efforts, as well as through the individual offices and media channels of participating leaders, making it a truly global message. As the Muslim community finishes celebrating the month of Ramadan and prepares for the feast of Eid al-Fitr, we wish to send a message of friendship and unity across religions. We recall with great appreciation the recent appeal to make friends (on YouTube and our website) that many of us had the honor to be a part of. A message of friendship across religions is our sincere wish to one and all, Muslims and non-Muslims, and we are happy to recall this message on the occasion of the end of Ramadan and the celebration of the Eid. Friendship and unity are our vision for humanity and as religious leaders we pray that our followers, followers of other religions and even those who do not follow any religion at all, will all help disseminate this spirit of friendship and unity. We are aware of the fact that leaders of different faiths are sending this message out at the same time. At this time in humanity’s history, when divisions seem to grow ever wider, this message of unity is our sincere wish and fervent hope for the wellbeing of all. List of participating leaders follows. For further information on the initiative please visit the press section on our website or email your interview request/questions to Press.MakeFriends@gmail.com. The number of people who have been exposed to the “Make Friends” message, in its various formats on news outlets, youtube, facebook, twitter etc., is in the millions. (The reach is calculated at 100 million). We seek to go beyond the initial message and to make Sharing Wisdom and Making Friends an ever-growing reality. Please visit our website to download the toolkits. There is a further special opportunity for advancing in sharing wisdom and making friends. 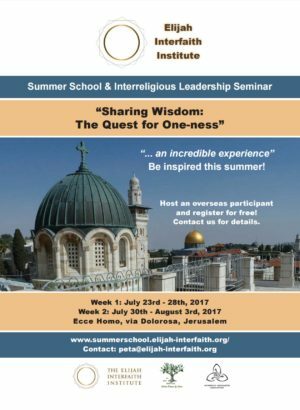 Our summer school and interreligious training seminar will be held in Jerusalem from July 23rd until August 3rd on the theme, “Sharing Wisdom: the Quest for One-ness,” and you are invited to be there. Join us for the full two weeks or for just the first, or participate in particular sessions that interest you. You will meet fascinating people from around the world who share with you the quest for wisdom and for one-ness and the desire to make friends.